The countdown to Fashion Revolution Day continues with the second in our series of John-Paul Flintoff interviews. 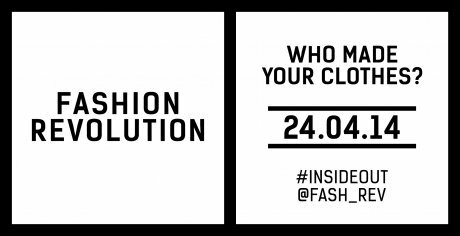 Just in case you've missed our previous posts about this brilliant campaign, Fashion Revolution Day is taking place on 24th April - just six weeks from today - and is an opportunity to find out how fashion can be used as a 'force for good'. To get us all thinking, the team behind the day are asking one simple question: Who Made Your Clothes. Thanks to John-Paul Flintoff for interviewing, Fiona for sharing the story of who made her clothes, The Railway in Streatham for hosting and Tim Ridley for filming. You can read more about the first ever Fashion Revolution Day and see the first of John-Paul’s interviews here. To find out how you can get involved and support the Fashion Revolution visit www.fashionrevolution.org.